Quik Drive auto-feed screw driving systems turn repetitive fastening into opportunities to increase efficiency and save time. Extensive research goes into the design of each system and screw to understand the intended applications, fastener performance demands and the work flow in which installations take place. This results in professional-quality auto-feed solutions that truly make work easier. The BLACK+DECKER 4V MAX* Lithium Cordless Rechargeable Screwdriver features a compact handle and a powerful 180 RPM motor for easy driving and removing of screws in tight spaces. Its inline trigger grip provides comfort and control when installing mini blinds, hanging curtain rods, assembling furniture and a variety of other household tasks. The unit is also attachment capable, allowing for compatibility with all of BLACK+DECKER's future attachments. Exceptional runtime accounts for up to 3,400 screws drilled per charge. Ergonomic design built to job specifications makes Bosch SGH182 screwgun lightweight and easy to handle. Brushless motor design combined with dust-proof casing means extended life and reduced maintenance. Tool's balanced weight distribution means less strain on the user, better productivity. Electronic motor and cell protection help prevent overheating and overloading for extended runtime and overall tool life. Very powerful cordless drywall screw gun with outstanding service life. Suitable for all screwdriving applications in drywall construction, including high-strength chipboard and hard sheets of drywall. One of the lightest screwdrivers in its class with low weight and perfect weight distribution for fatigue-free working. Rapid changeover to collated strip magazine. Rapid charger for continuous working without interruption. 2,000 charge cycles per battery pack. Powerful autofeed screwdriver for more than 2,300 repeated screw fittings per battery charge well suited to all screwdriving applications in drywall construction, including high-strength chipboard and hard sheets of drywall. One of the lightest screwdrivers in its class with low weight and perfect weight distribution for fatigue-free working.Rapid charger for continuous working without interruption. 2,000 charge cycles per battery pack. The particularly dust-resistant magazine can be inserted and removed without the use of tools and is easy to clean. 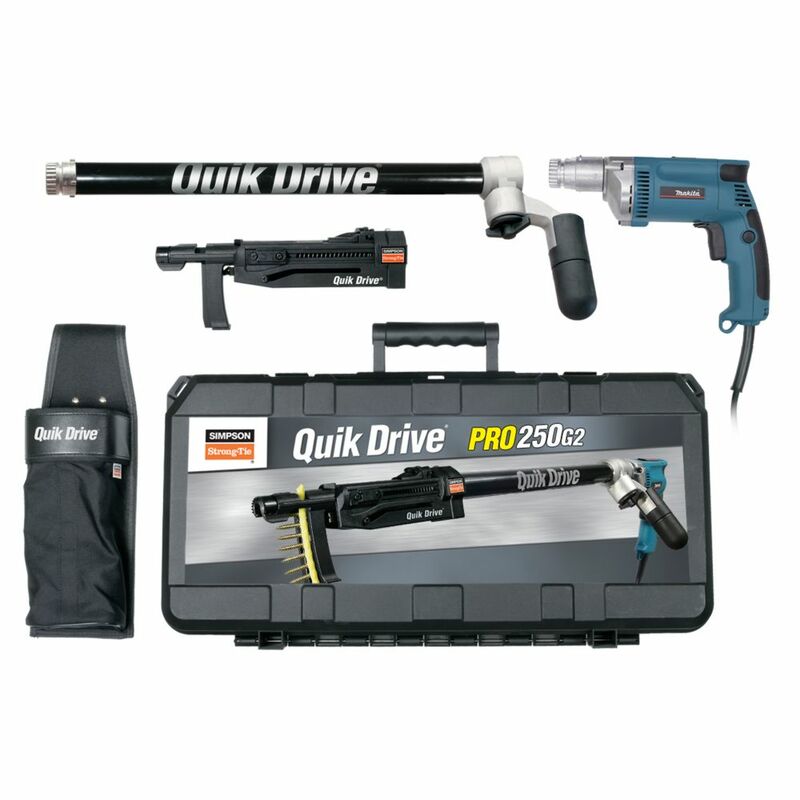 PRO250 Quik Drive System for Makita 2500 RPM Screwdriver Motor Quik Drive auto-feed screw driving systems turn repetitive fastening into opportunities to increase efficiency and save time. Extensive research goes into the design of each system and screw to understand the intended applications, fastener performance demands and the work flow in which installations take place. This results in professional-quality auto-feed solutions that truly make work easier.